• Repeat each exercise _____ times. • Hold each position for _____ seconds. 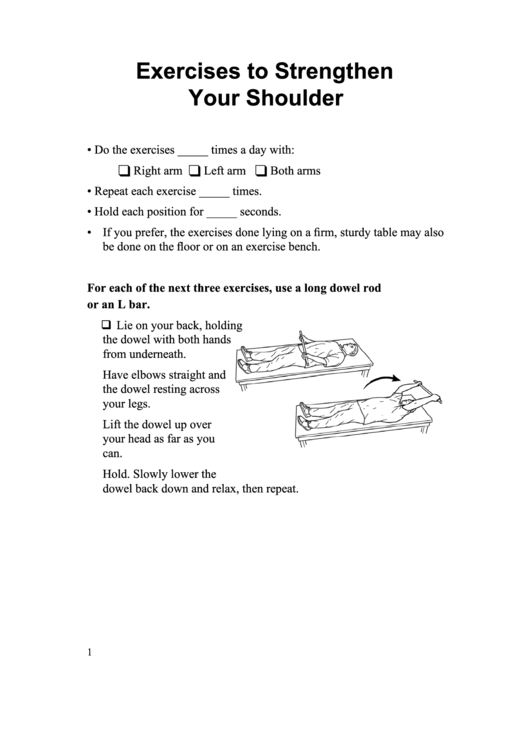 be	done	on	the	floor	or	on	an	exercise	bench. dowel	back	down	and	relax,	then	repeat.